MECART’s turnkey services start with the pre-engineering phase which enables us to produce a budgetary quote for your modular building, sound enclosure or acoustic barrier project. When you contact us we take the time to discuss and fully understand your specific needs and goals. Our goal is to offer you the best fit. Our prefabricated modular solutions are perfect for acoustic issues, harsh industrial environments, cleanrooms and all sorts of controlled environments and our goal is to offer you the best fit for your particular requirements. You might also choose MECART for the durability of its products, its heavy duty steel panels, resistance to hazards, or its custom design capabilities. What are your needs? An important aspect of the pre-engineering phase is to identify your needs and objectives and we take the time to assess this with you. If required, we may visit the environment where the modular building, acoustic screen, enclosure or laboratory will be installed to take measurements and do acoustic testing. How do you want MECART to be implicated in the engineering and design? Do you need help with the conception and architectural layout? AVERAGE: Others have an in-house team of architects and engineers to define the specs but still need MECART’s knowledge to validate the engineering specs. Whatever level of implication you need of MECART, know that all these options are possible. 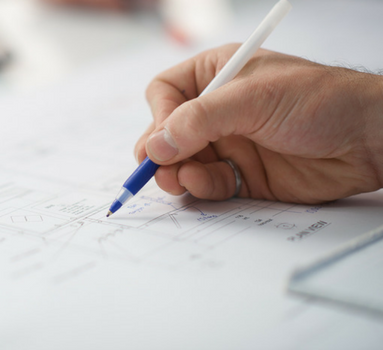 For some projects, we simply generate a quote according to the specs of the initial customer bid design, but other times we may want to suggest a better solution based on the need assessment we have determined. Having worked on various controlled environment and acoustic projects ranging both in size and performance (STC-25 to 70, ISO 5 to 8, etc. ), we know how to optimize your layout to save unnecessary expenses. Take this example where we saved our customer 25% of the overall project costs by redesigning the HVAC system of their control room. Once needs and specs are established, we will give you a detailed quote and wait for the purchase order (PO) before moving on to the engineering and design phase and hence officially launching the project.